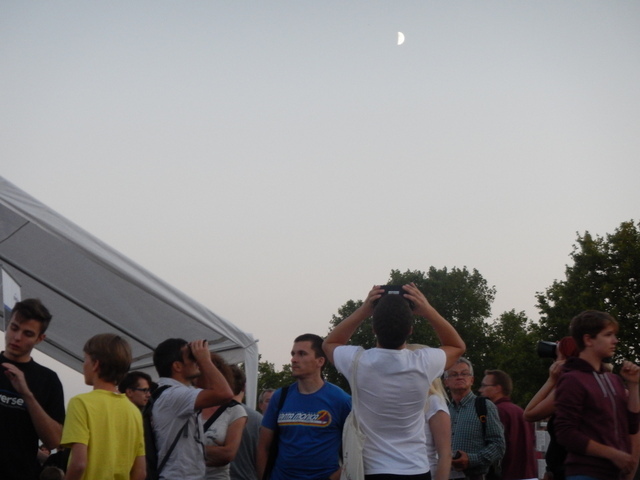 During this past weekend (22 August 2015), Berlin was home to something astronomical. 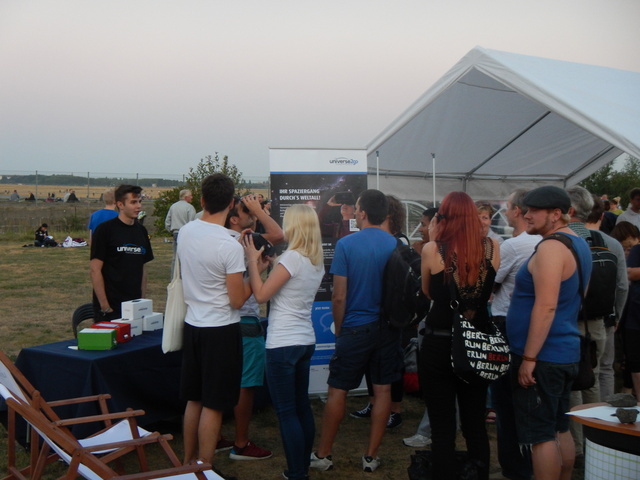 The Lange Nacht der Astronomie (Long Night of Astronomy) lured in around 2,000 stargazers and enthusiasts. Every visitor had the opportunity to peer through a series of telescopes and into the stars, while receiving explanations about everything astronomy-related. This year, Universe2go took part in the festivities and had its own stand. To look up to the cosmos through the star viewer and immediately comprehend, what you see – fascinated the visitors. Opinions of Universe2go stretched from, “That is a super idea!” to “How cool!” Awesome feedback! Altogether four different star viewers were available, by which people learned more not only about the moon, but also other celestial bodies. The “Long Night of Astronomy” was altogether a successful astronomy event for usual Joes and Janes, as well as for astronomy associations. The organizer announced that it will continue next year as well – a fantastic bit of news! Perhaps it will be an opportunity for you to visit the German capital in 2016. Current information as well as directions are available here. Wherever you go, Universe2go will show you the way to the stars.